If you’re eagerly waiting for the next major version of Google’s Android operating system, then don’t worry, it’s almost here. Google has officially introduced Android 5.0 Lollipop. The new operating system has a slew of new features. It will first arrive to all Nexus devices, before rolling out to other Android smartphones. The software’s main highlight is a bold new Material Design, which completely alters the way we view Android. It’s colorful, but simple, and is made to work across all Google’s platforms, including phones, tablets, and laptops. A style guide for developers has also been produced, ensuring the new system retains a standard, consistent look throughout. Updated on 10-15-2014 by Malarie Gokey: Google officially released Android 5.0 Lollipop alongside several Nexus devices. Here’s everything we know so far. 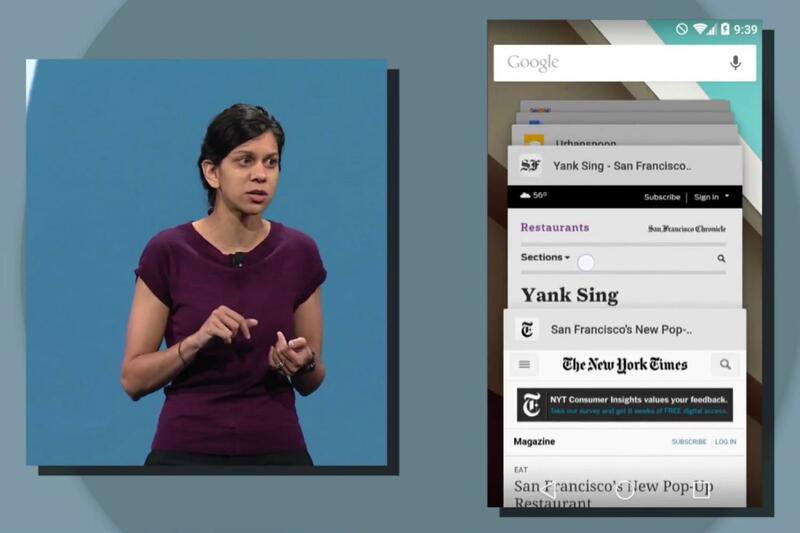 Material Design is the hallmark of Android 5.0 Lollipop. The new design language transcends platforms and unifies the Android user experience on all kinds of devices, from smartphones and tablets, to wearables and Android TV. The new design features flat UI and colorful icons that look more simple and artistic that previous versions of Android. Material Design is also meant to help content flow and create a more intuitive user experience. Google describes Material design as “bold, colorful, and responsive,” and says its more responsive, fluid, and the motions are natural. Lighting and shadows are more natural and look far less artificial. Bright new colors add pop to the screen and simple, clean typography makes notifications and other content easier to read on any screen size. Google has embedded notifications into the lock screen in Android Lollipop, so you can swipe down a list to see all your recent messages. All the notifications are interactive, so you can quickly respond or delete them. Additionally, notifications will show up as a pop-up tile while you’re in another app, making them highly noticeable, but also easy to ignore. 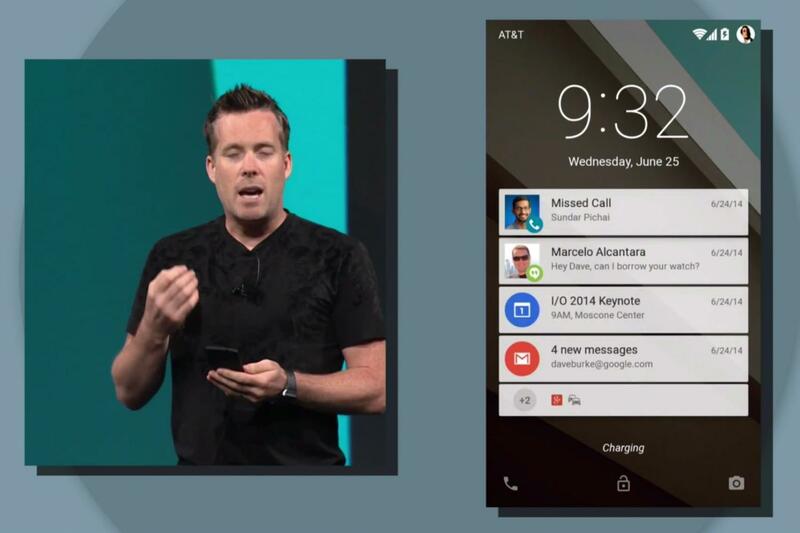 You’ll be able to view and respond to messages right on the lock screen of your phone. 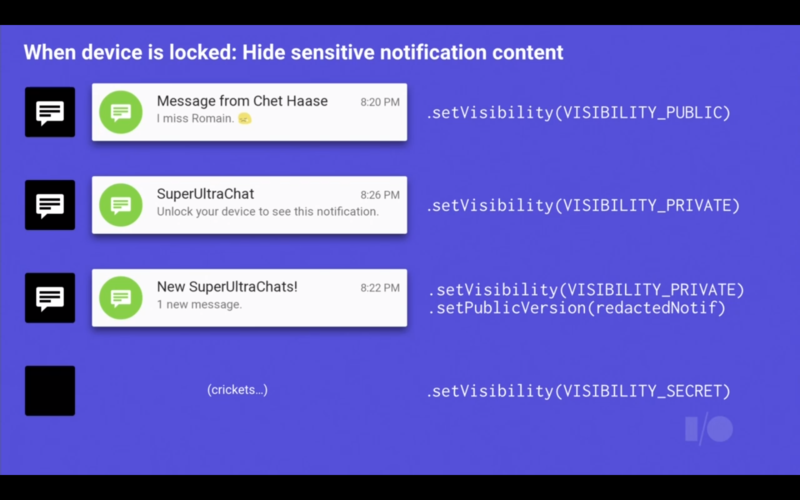 Android 5.0 also lets you decide which notifications you want to see on your lock screen, so if you have sensitive information or don’t want others to see the content of your texts, you’ll be able to hide the sensitive content. The new OS features Priority mode, which you can enable with your phone’s volume button. Once you’ve turned it on, only select contacts will be able to reach you. All of these features can be turned on or off in the settings for notifications. The notification shade will also rank your alerts based on who they’re from and which app is sending them. As always, all your notifications can be seen in one place by tapping the top of the screen. 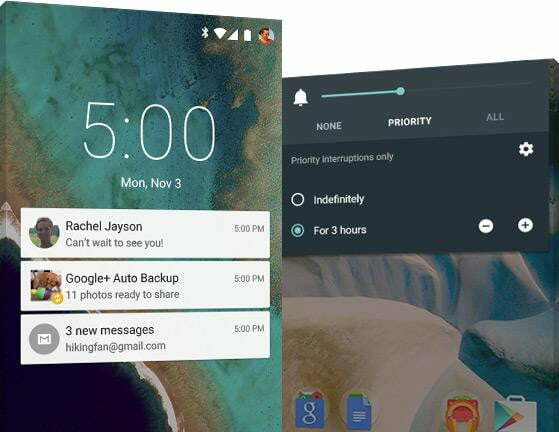 Phones running Android Lollipop will become smarter when it comes to unlocking. The device will look to see if it’s in a “trusted environment” like your hand or on the table next to you. If it is, then it doesn’t bother you with an unlock code when you swipe the screen. However, we expect this to need an Android Wear smartwatch to operate, and if one is not strapped to your wrist, then an unlock pattern or code request will appear. Google aims to vastly improve the user experience on shared devices. Android 5.0 Lollipop allows for multiple users for one phone. That way, if you forget your personal phone at home or the battery dies, you can just log into a friend’s Android smartphone (as long as it’s on Lollipop too) and access any of your messages, photos, and contacts. The feature also works well for families who sometimes need to share a phone, but don’t want their siblings trolling them on Facebook or looking at their personal pictures. A feature called screen pinning will let you pin one screen, so that another user only has access to the content on that specific screen and can’t see your other stuff. Google revamped quick settings, too, so you can find all of your most frequently used settings whenever you swipes down from the top of the screen twice. New controls include: flashlight, hotspot, screen rotation, and cast screen controls. More easy-to-use on/off toggles for Wi-Fi, Bluetooth, and location were also added. The settings also offer manual adjustments to brightness and adaptive brightness, which is based on ambient lighting. Android Lollipop is optimized for professional photographers with a handful of brand-new features. 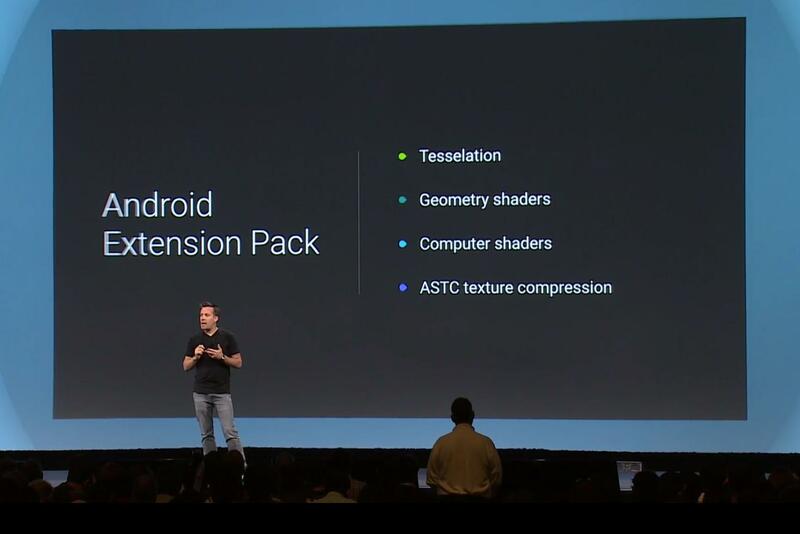 Devices with Android 5.0 installed will be able to capture full resolution frames at or near 30 fps. The new OS will support raw formats like YUV and Bayer RAW, too. The updated camera app allows you to control capture settings for the sensor, lens, and flash pfor each individual frame. Android Lollipop will recognize noise models and optical information. Google is making a very big play to dominate your living room with Android 5.0. The new OS supports Android TV and features a special user interface that’s adapted for the living room. Android will give you recommendations just like Netflix and offer voice search for Google Play, YouTube, and other apps. You’ll also be able to cast content from your Android devices directly to your TV screen with Google Cast or play console-style Android games on your TV with a gamepad. Google has been looking enviously at BlackBerry 10’s standout feature, its ability to separate work and play on the same device. In Android Lollipop, a similar system will be introduced called the Android for Work program, which has been created with assistance from Samsung and its Knox program. Android for Work will keep personal and work data isolated from each other, with no app modifications needed from developers. Google will also produce a separate app for Android devices using Ice Cream Sandwich or later. 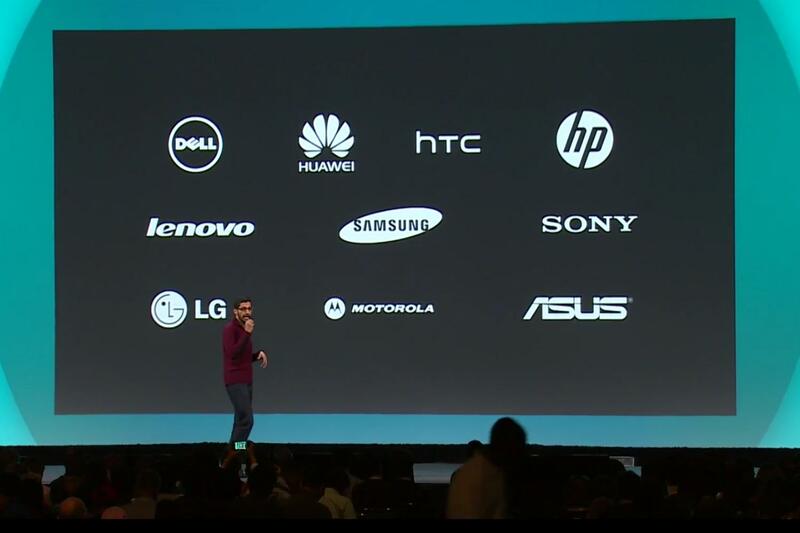 Ten manufacturers were announced on stage as supporting Android for Work, including HTC, LG, Motorola, Samsung, Sony, and Huawei earlier in mid 2014. Using Android Lollipop’s “material design,” Chrome has been given a visual overhaul featuring continuous animations, and dynamic colors which match images taken from your searches. Searches are smoothly animated, with new pages sliding in on command. Google said the fluid animation runs at a heady 60fps, a feature which wasn’t even possible a year ago. Tapping the recent app button brings up an entirely new view. Rather like the tab view in Safari on iOS, recent apps now look like stacked cards, each with their own shadows and perspective. Interestingly, the recents list now also includes Chrome tabs and searches, so there’s no need to visit Chrome to see previous tabs, making multi-tasking easier. Third-party apps can add their own recents cards using a new API, so expect it to get busy in the future. The humble Android search box on the home screen is getting smarter. In Android L, it will remember if you’re searching for something you’ve previously looked at in an app or through a service, then it will provide fast and direct access below the traditional search results. Inside Android Lollipop, Google has added a graphics-specific “Android extension pack,” which will offer “PC gaming graphics in your pocket.” The pack means games will feature more advanced shaders, improved lighting, realistic reflections, and some clever tessellation for smoke effects. Android Lollipop will run exclusively on the new ART runtime, and will operate on hardware powered by ARM, x86, and MIPS processors. What does this mean for you? More speed and smoother performance, and the good news is, developers won’t need to recode their apps to see the improvements. According to Google, ART is twice as fast as devices running Dalvik, so expect smoother performance, and a reduction in annoying stutters. It’s also more memory efficient, and crucially for the future, compatible with 64-bit chips. Support for 64-bit SoCs using ARM, x86, and MIPS-based cores is already included in Android 5.0. The software update will also include support for 64-bit native apps like Chrome, Gmail, Calendar, Google Play Music, and more. Google says that pure Java language apps will run as 64-bit apps automatically, too. Google’s continuing its assault on poor battery life in our smartphones. In Android Lollipop, it wants the battery to keep up with the new, faster performance. 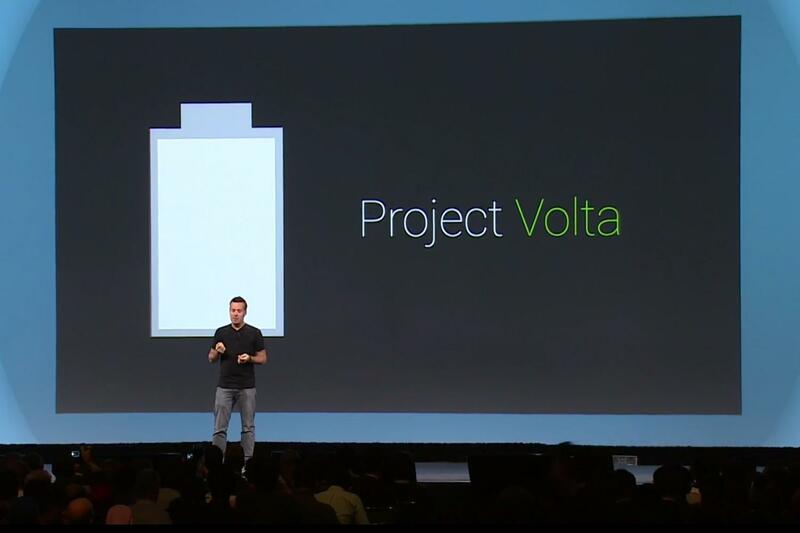 Android Lollipop will feature Project Volta, a successor to similar projects like Project Butter. This will work to improve overall battery life, and add a battery extender system to make the most of a dying battery, much like extender services seen on the HTC One M8 and the Galaxy S5. The battery saver feature will extend the life of your device by up to 90 minutes, Google says. Of course this could vary greatly depending on which phone you’re using. Android 5.0 will also show you a time estimate when you’re charging your device, so you can see how much longer it will take to reach full capacity. Additionally, your phone will also let you know approximately how much time you’ve got before your phone dies. All you have to do is check on the battery in battery settings. Android Lollipop will be more secure than ever, and Google will continue to issue critical new updates through Google Play Services, plus a “kill switch” style factory reset will be included in the OS, letting you take control of your phone should it be stolen. Privacy will be increased on the lockscreen and through notifications, with what Google calls three spheres of visibility: Public, Private, and Secret. As suggested by the name, Public lets anyone, either with or without any authentication, view your notifications in detail. Private, meanwhile, forces anyone that is not the owner of the device to provide authentication in order to see the notification. Developers can implement a redacted version of that notification. Finally, with Secret, no notification shows up in the lockscreen at all. Android 5.0 also includes SELinux enforcing for all apps, which should give you added protection against vulnerabilities and malware. Google is calling Android Lollipop its “biggest release to date,” and it will start rolling out to Android devices this fall, starting, of course, with the Nexus handsets. We’ll keep you updated on which devices will receive the new OS, as information becomes available. Article originally published on 06-24-2014.